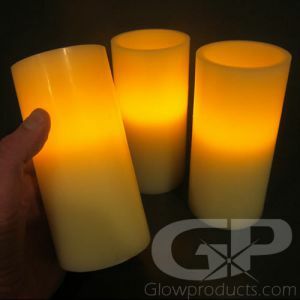 - Flickering Orange LED Lights look like a real flame! 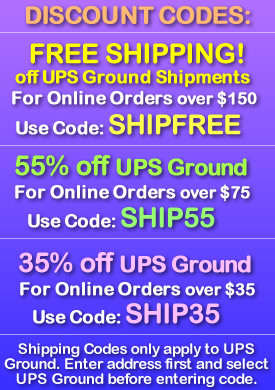 - Use for Special Events, Weddings, or Holidays! 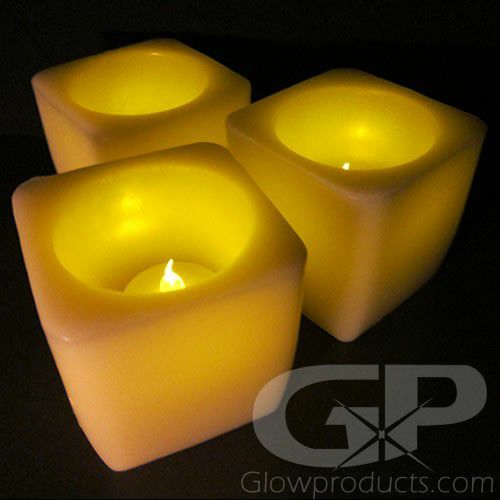 Decorate with cool cubes of glowing, flickering light with our 3 Inch LED Flameless Square Candles! 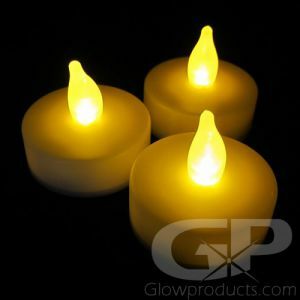 Our safe flame cube candles are made from real paraffin wax and flicker with an amber color LED light! 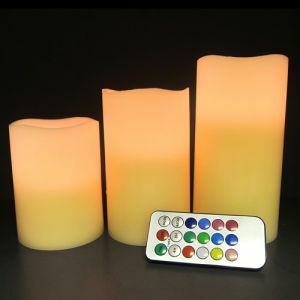 The LED Cube Candle is 3 Inches wide at the top of the candle and taper to 2 1/2" wide at the base and the LED tea light that illuminates the candle rests in the interior providing flickering light just like a real candle! 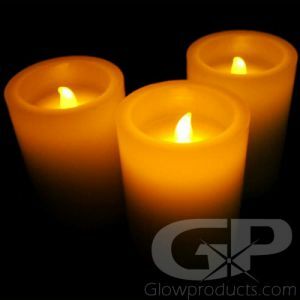 These battery operated LED Flameless Square Candles are ideal for occasions and venues where open flames are either not allowed or advisable such as holiday events, weddings, churches, halls and heritage buildings. 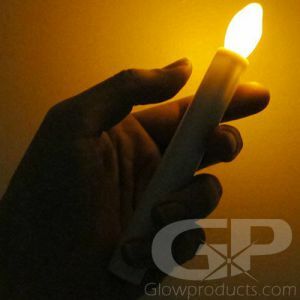 The No Flame Cube Candle looks and feels like the real thing and comes with the batteries already installed - so all you have to do is turn them on and start decorating! 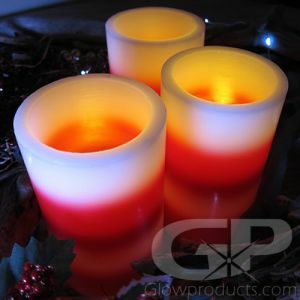 Brighten up your next party brilliantly - and safely - with flameless candles from Glowproducts.com! 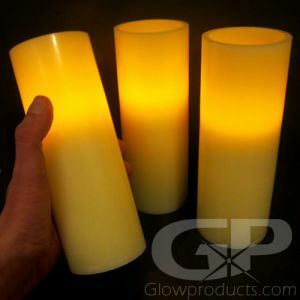 Instructions: Remove the battery protection tab and turn the switch from 'off' to 'on' on the included LED Flicker Tea Light Insert and place into the Square Flameless Candle base. 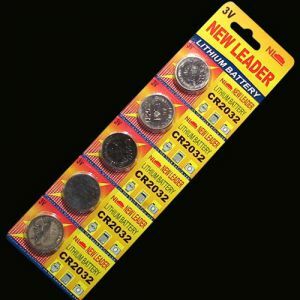 Batteries are included and repleacable.